Attorney Michael J. Palumbo is the founder of Palumbo & Associates, PC. Mr. Palumbo is a former police officer turned NY traffic court defense lawyer. Think about what that means. The founder of the law firm representing you in the Fishkill Town Court not only knows how the radar works, but has actually used a radar in conducting speeding enforcement. This means that your Fishkill, NY traffic court law firm knows the flaws in the equipment and the mistakes the police make when utilizing speed detection equipment and doing traffic enforcement. This knowledge makes our speeding ticket defense attorneys the best speeding and traffic court defense lawyers and law firm to represent you in the Fishkill Town Court in Dutchess County, NY. Our clients love us! You don’t have to take our word for it. See what our clients say about us in their own words. The Fishkill Town Court is one of the busiest, most high volume court in the entire state of New York. In fact, the Fishkill Town Court generates more fine revenue then the vast majority of the traffic courts in the State of New York. The Fishkill Town Court generates hundreds of thousands of dollars in fine revenue from adjudicating speeding tickets under NY VTL § 1180. DON'T RISK YOUR INSURANCE! DON’T RISK YOUR LICENSE! WE OFFER A FREE PHONE CONSULTATION AND EVALUATION! Every year thousands upon thousands of motorists find themselves being prosecuted in the Fishkill Town Court. It can feel like assembly line justice – no one who wants to hear your case or listen to your defense. It can feel like an impersonal and intimidating revenue generating mill. However, this is not the case when you hire our lawyers and attorneys to represent and defend you in the Fishkill Town Traffic Court. WE HAVE A TEAM OF DUTCHESS COUNTY TRAFFIC ATTORNEY PROFESSIONALS THAT WILL BE REPRESENTING YOU IN THE FISHKILL TOWN COURT! Our NY traffic court defense attorneys and law firm have the knowledge, and know the techniques, to slow the process down. Our traffic lawyers are in equal footing with the judge and prosecutor. We have leverage where you as an individual do not. We know how to execute on all of your Constitutional, Due Process, and procedural rights in order to force the Fishkill Town Court to hear your side of the story. Don't Risk Your Driver's License in traffic court! Palumbo & Associates Can Fight For You! Our lawyers will advocate for you and convince the Fishkill Town prosecutor to make an offer of reduction. This means that we get the moving violation with points and insurance increases were you to be found guilty of it dismissed, and replace the charge with something with no points, or less points, that does not trigger an insurance increase. 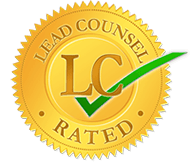 We are so confident of our ability to reduce or eliminate the points that we are the only firm in the State of New York to give you a money back guarantee to do just that. Been charged with speeding under with a VTL § 1180, cell phone use under NY VTL § 1225, or failure to yield for an emergency vehicle under NY VTL § 1144 in the Fishkill Town Court? Or how about running a stop sign under NY VTL § 1172 or red light under NY VTL § 1111? Don't worry. We'll sort it for you. We're lawyers that like to simplify things and get the ticket resolved without implicating our clients further. We also get your personal court appearance waived so that you do not have to lose time from school or work to personally appear in court. To retain our office all you need to do is return to us the documents we send you signed, along with the ticket, and we will take care of everything for you. If you've got a speeding ticket or other moving violation in the Fishkill Town Court or anywhere in the State of New York, we know that you have questions or concerns. Call us today at our local number of 914-777-2990 or toll free at 877-996-6849. You can reach us at both numbers anytime 24 / 7. 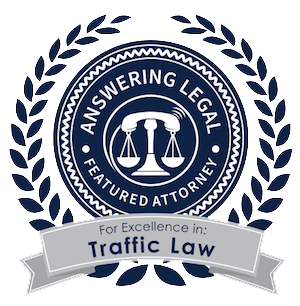 Our team of lawyers talk to motorists like you every day about defending speeding tickets and other moving violations, and we look forward to talking to you about your case and answering any questions you may have. Don’t delay call now!